One of the big concerns many may have about the manufacturing industry going forward is that it is going to continue creating jobs, but may not be able to attract enough workers to fill them. The "skills gap" is overstated in some industries, but certainly not one like manufacturing, where there are already more open positions than people to fill them in many parts of the country. To that end, more low-cost or even free training initiatives are getting off the ground, as a means of helping people find a path into a long career in the production of goods. One such effort comes from the West Central Ohio Manufacturing Consortium, which partners with Rhodes State College to offer free manufacturing training and certification, which can help people find numerous opportunities from local factories, according to Lima, Ohio, television station WLIO. This is a 60-hour course that, in its next iteration, will meet on Tuesdays, Wednesdays and Thursdays from early February to late March, and graduates are likely to find work quickly after completion. "It carries a lot of clout with a lot of manufacturers," said Doug Durliat, West Central Ohio Manufacturing Consortium director. 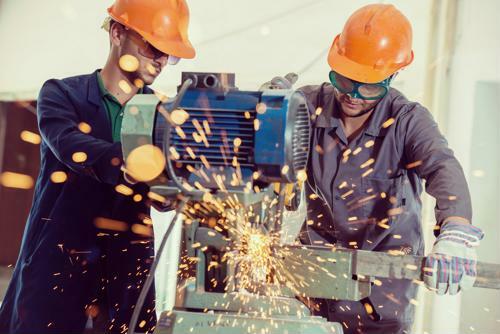 "It demonstrates that you have a level of confidence in manufacturing, not just the basic entry-level type of skill level possibly getting into higher paying jobs, and teachable to learn even more skills to get even more pay in manufacturing." Meanwhile, in Springfield, Missouri, the Missouri Job Center and Ozarks Technical Community College recently partnered in a similar way for the Aspire to Create program, according to Ozarks First. The program runs from early January to late March, with classes running 40 hours a week. It is open to anyone receiving SNAP benefits between the ages of 18 and 24, and will not only be free of charge but will also pay attendees $12 per hour during the training. At the end of the program, they will be able to receive a number of industry certifications including forklift operation, the report said. Finally, in Minnesota, the Vadnais Heights Economic Development Corporation recently provided the GenZ Connections: Skills and Careers in Manufacturing Program with $95,000 in grant money to expand its offerings for young people, according to the White Bear Lake Press. This initiative actually began in summer 2017 but has found a lot of interest - and success - in connecting with students in the White Bear Lake area. The new grant will allow GenZ Connections to expand, partnering with four school districts and a charter school in the surrounding area, and rebrand as the NE Metro Manufacturing Education Partnership, the report said. "These grants allow high schools, businesses and community organizations to work together to train students and create skilled workers for their communities," Minnesota Department of Labor and Industry commissioner Ken Peterson told the newspaper. When manufacturers are working to find the next generation of people to fill their open positions, giving them easier access to training is a great way to start. However, companies also need to make sure they are providing those would-be workers with a clear career path, high salary and excellent benefits.